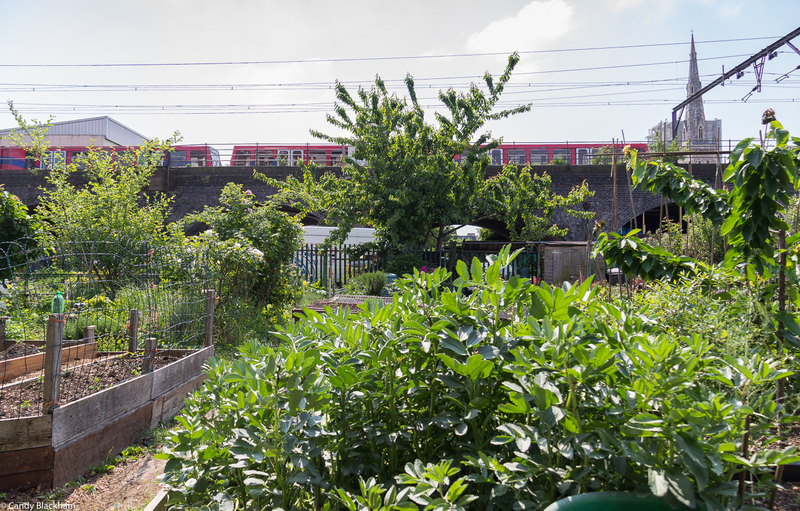 Cable Street Community Garden is an unlikely haven of peace in London’s former Docklands, on either side of the Docklands Light Railway (DLR). 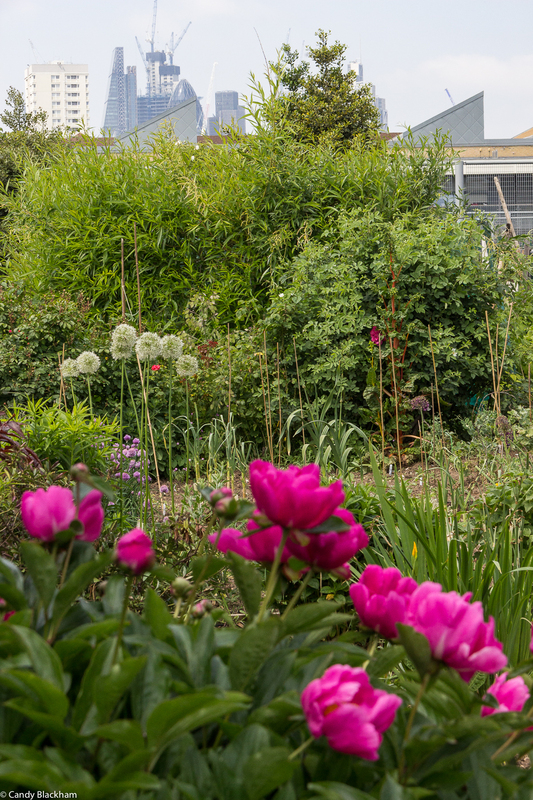 The gardeners have always been committed to organic gardening for their fruit, vegetables, and flowers, and the site attracts birds, bees, butterflies, and of course foxes! 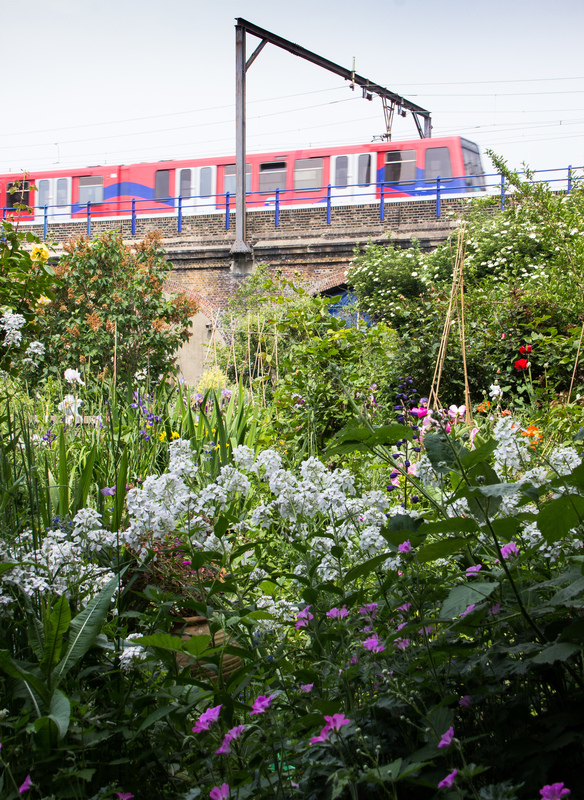 Do visit during Open Garden Squares Weekend on Sunday 10 June. 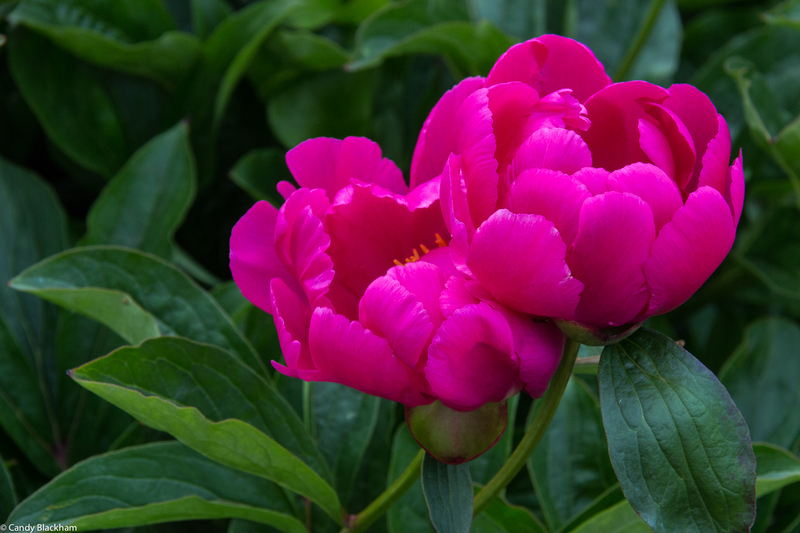 There are abundant vegetable beds, which is what you would expect, but there are also wonderful flowers, and the paeonies are stunning at the moment. 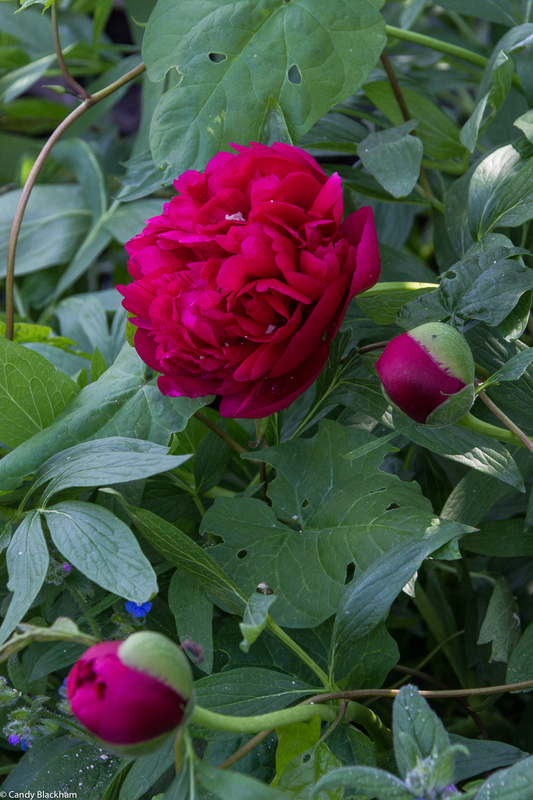 Planted in tubs, or just dotted about the site, they are richly coloured and flourishing. 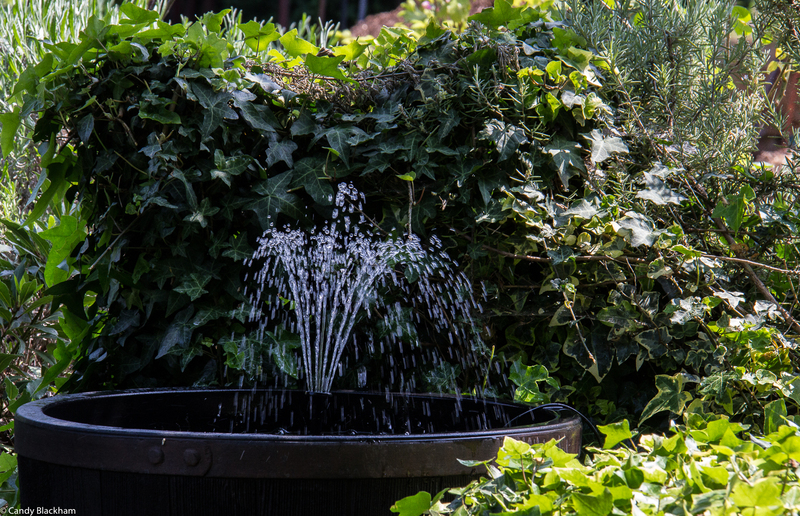 The vegetables thrive – potatoes, beans, peas, onions of various kinds, cabbages of all sorts, artichokes, herbs and salads can be spotted – and a wide variety of fruits are grown. 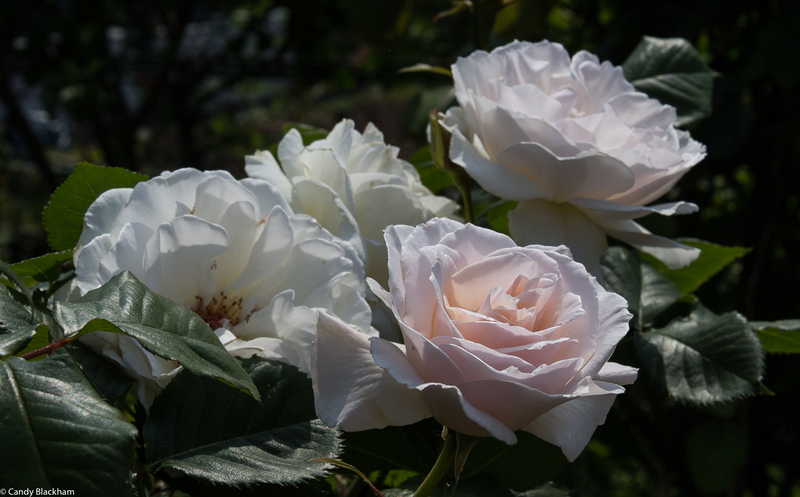 It is the roses which I particularly enjoy and this year they are beautiful. People clearly feel relaxed here and there are moments of pure enjoyment in the gardens. 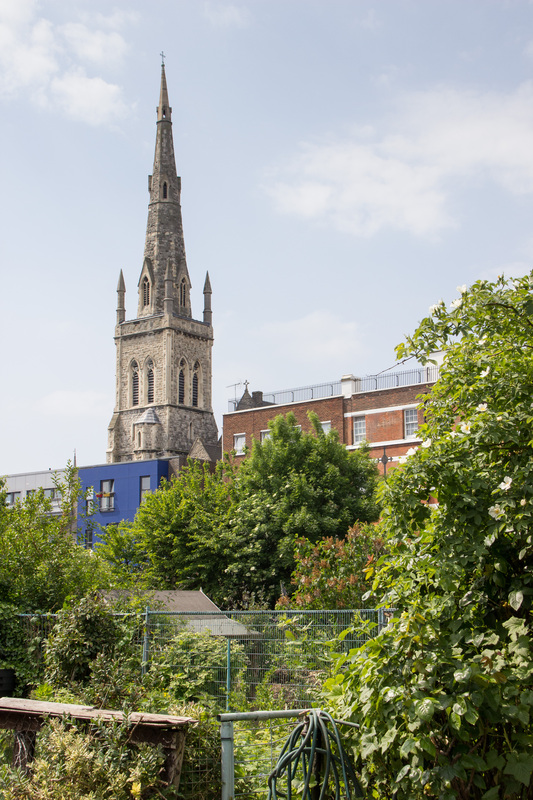 Do visit during Open Garden Squares Weekend, on Sunday 10 June, and linger in the narrow walkways, chat to the gardeners, and enjoy the refreshments on offer! It is an amazing place, started in the 70s and so well-established, and with a marvellous peaceful atmosphere. I always enjoy wandering around.